Happy February! 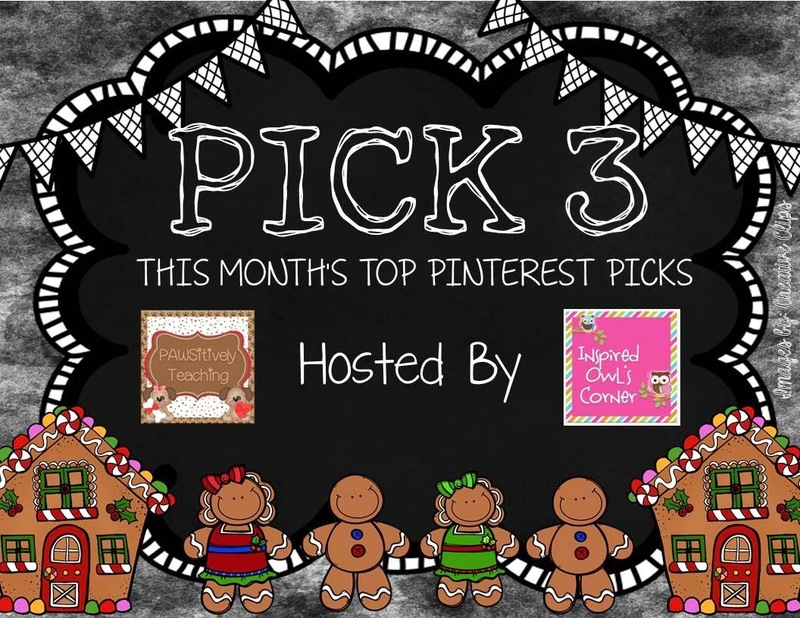 Time for Pawsitively Teaching and Inspired Owl's Corner Pick 3 Linky! 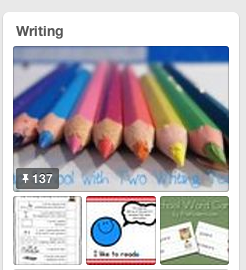 Here are my top three pins that I'll use in the classroom this month. I guess number one needs to be this video of snowflake making. It is particularly good for early elementary. It shows many snowflake photographs, explains how snowflakes are made and shows them being formed in the lab, and introduces Dr. Libbrecht, a physicist at Caltech and leading expert on snowflakes. It's a must for any discussion or unit on snow. It is one of my most repinned pins, too. 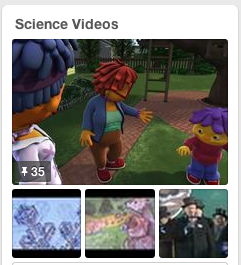 Be sure to check out my Science Video Pin Board. There are all sorts of goodies on there for every kind of science unit. Click on pic to go. This simple idea lets kids use bingo markers to their heart's content. 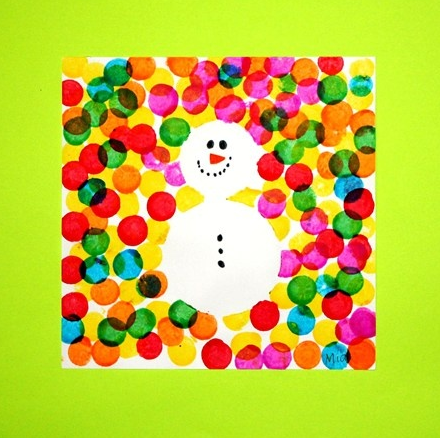 The pin shows a snowman that is highlighted, but the dot covered paper could be used as a background for art projects or writing pieces. Think how pretty a poem would look mounted on this handmade paper. Keeping this one in my tip bag. 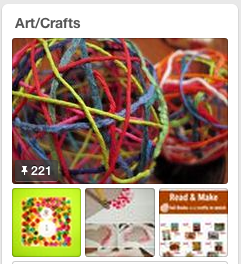 You'll find lots of general art and craft ideas on my Pin Board. I think it is so important to bring arts into our daily life in kindergarten, as well as all the grades. And I can and do find ways to tie it to curriculum and appease the time use monsters, too. Find it by clicking on it. And last but certainly not least, I found a great use for this editing page. The latest wave in education is the idea of keeping students informed of their learning goals– which ones they mastered and what their next ones are. This sheet will work beautifully for that. 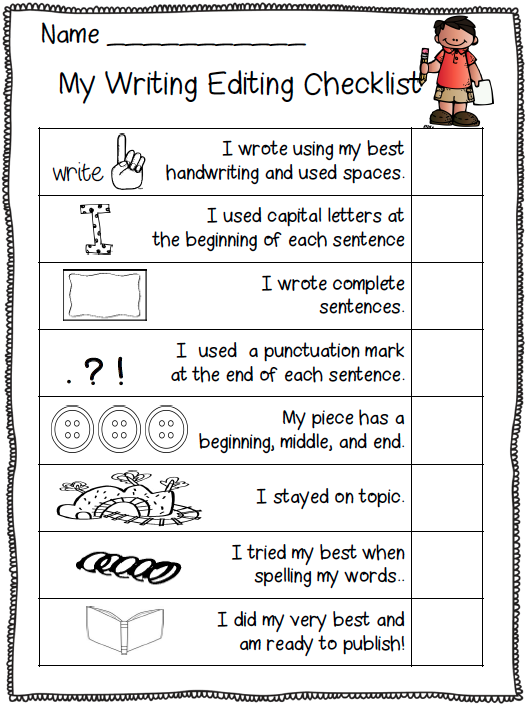 I am going to give each student the page and go through their writing pieces using the checklist to help us focus. When we see evidence that they've met an objective, they will get to draw a smiley face in that checkbox. I know all of my students will get at least one smiley at this point in the year and most will get several more. Then we'll decide together what writing skill they'll focus on next. To remember the chosen target they'll color in that checkbox with a yellow highlighter. They will keep their goal sheets in their notebooks and when we see that they have reached their next target, I'll let them put a smiley face in the highlighted box. Then we'll choose the next one they'll work toward. For my purposes I am going to white out "Editing" and put "Goal" at the top of the page. It will be important when I first give out the sheet that the kids realize the list is for kindergarten AND first grade, so it is okay if they don't reach all the goals this year. I think it is going to be a very handy list. And did I tell you that it's FREE! Yep. There are lots of other useful pages in the editing pack, too. It comes from Nancy at First Grade W.O.W. Absolutely check it out. I go to my Writing Pin Board on a regular basis. It is loaded with good ideas to do things in new ways and spice things up. Click on it to go there. THANKS to Lisa and Marissa for the Pick 3 Pins Linky... they could have made this a Pick 12 Pins Linky, and I'd still be making hard choices. TeeHee Hopefully you clicked on my pin boards, too, to see the other stuff I've come across lately. That's all for now. I'm off to check out everybody else's top three Pin Picks. Yippee. You can click below to do the same. 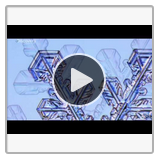 Fantastic snowflake video. Thanks for sharing all your great finds! What an adorable snowman! My kids loved the snowflake video! Thanks for sharing and linking up! Bingo marker crafts are always fun! !